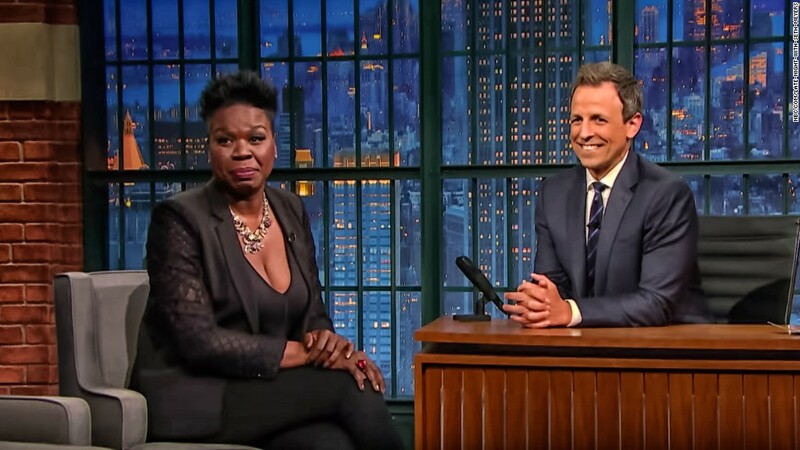 Leslie Jones is clarifying what went down after Twitter trolls attacked her. The "Ghostbusters" star appeared early Friday morning on "Late Night with Seth Meyers," and naturally talk turned towards her Twitter "exit" earlier this week after she was targeted by racist tweets. Her despair over the hate resulted in fans and supporters starting the hashtag #LoveForLeslieJ. "First of all let me let everyone know that I did not leave Twitter," Jones told Meyers. "I just signed out, because I wanted to deal with what was going on." She also thanked Twitter CEO Jack Dorsey who she said helped by some removing some of the worst offenders. Being bullied on social media is not new to her, she told Meyers. "What's scary about the whole thing is the insults didn't hurt me," she said. "Unfortunately I'm used to insults, but what scared me was the injustice of a gang of people jumping against you for such a sick cause. It's so gross and mean and unnecessary." Milo Yiannopoulos, tech editor of the conservative site Breitbart, was pinpointed as the instigator of the attack against Jones and banned from Twitter. Jones had a message for those who said free speech was under attack. "Hate speech and freedom of speech, two different things," she said.